The friendship between Paramedic Bobby Campbell and 9 year-old Brendon Tate is an unlikely one, but it’s one that will stand the test of time. The pair met by chance this past July when Brendon was being seen in the emergency room at Clearlake Regional Medical Center in Webster, Texas. For several days, Brendon had been experiencing nausea, vomiting, and constipation. 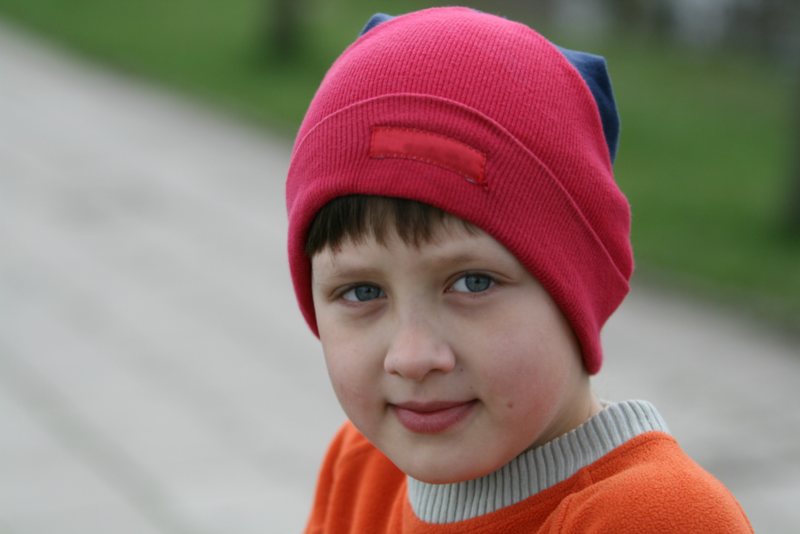 After completing a CT scan, doctors found that Brendon had a small bowel obstruction. Because he would require surgery, his doctors requested that he be transported to a higher level of care. Brendon would be going to the Woman’s Hospital of Texas in Houston where one of their many specialties is pediatric care. Because Brendon would be coming to their Pediatric Intensive Care Unit, Woman’s dispatched a ground transport team to travel to Webster to pick him up. On duty that day was Paramedic Bobby Campbell, Nurse Casey Contreras, and Paramedic Alexandra Kontrimas. The nearly 30-mile trip took the team around a half-hour to make. When they arrived at the hospital, they headed immediately to Brendon’s room to prepare him for the trek to Houston. The Woman's Air Care team transports hundreds of critically ill and injured children like Brendon each year. After walking through the entire transport process with Katherine and Brendon, the team set about placing a nasogastric tube into Brendon’s stomach via his nose. While the process for this placement is incredibly uncomfortable, it was necessary in order to stop Brendon’s vomiting and keep him from potentially breathing vomit into his airway and lungs. 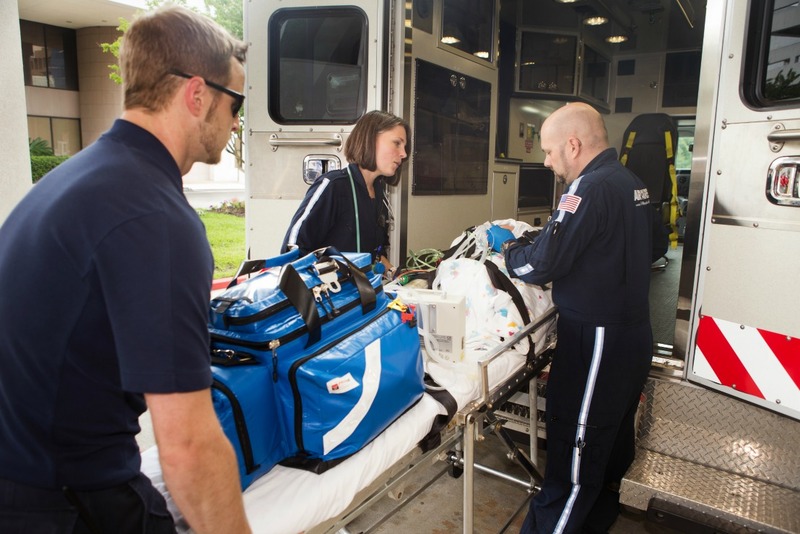 Once the team had Brendon fully prepped for transport, they loaded him and Katherine into the ambulance and departed for Houston. During the ride, Bobby and Brendon got the chance to get to know one another a bit better. They talked about football and even managed to share a few laughs despite Brendon’s discomfort. The Woman's Air Care helicopter and ground ambulance. In what seemed like the blink of an eye, they had arrived at the hospital in Houston where they would deliver Brendon into the care of Woman’s PICU Nurse, Carley Campbell – Bobby’s wife. The following afternoon, a surgical team at Woman’s removed the obstruction from Brendon’s bowel. As Brendon recuperated, he made sure to tell everyone at the hospital about his new friend Bobby. “From that night on, Brendon told anyone that would listen about Bobby,” laughed Katherine. Sadly, despite the joy of having a new friend, Brendon didn’t feel good for very long. A month later, he was sick again with some of the same symptoms as before. This time, the Woman’s transport team would take him to another pediatric hospital for care. When the team from Woman’s arrived, Brendon had high hopes that Bobby would be on shift, and when he wasn’t, Brendon decided to take matters into his own hands. He wrote Bobby a note and asked that the crew deliver it to his friend. In the note, Brendon asked Bobby to please call him because he really wanted to see him again. 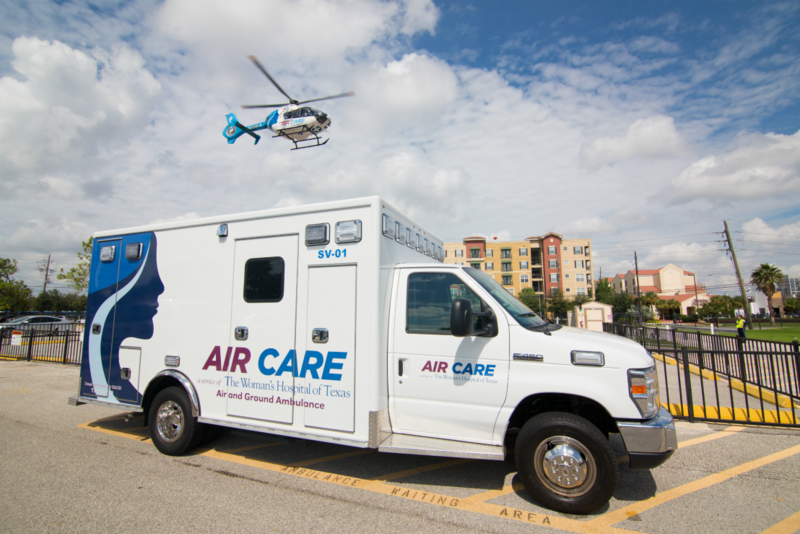 The Air Care team prepares for a transport. Bobby and Katherine arranged for him and his wife to come to the hospital the next day for a visit. What occurred in the time between their phone call and their visit though is something Brendon, his family, and Bobby will never forget. Doctors had sent Brendon for another CT scan in hopes of locating what they thought was another obstruction. What they found instead though, was something no one was expecting. Everyone’s worst fears were confirmed; Brendon had Non-Hodgkin’s lymphoma, a type of cancer that appears in the body’s lymphatic system. By the time Bobby and Carley arrived at the hospital, Brendon was already being transferred into an isolation room to help protect his immune system. While that evening was an emotional rollercoaster for Brendon’s family, Brendon was more focused on spending time with his pal. Their visits are more of a regular thing now. Every few weeks, Bobby and Carley head to the hospital to where Brendon is undergoing treatment. From his family and friends to everyone at Woman’s AirCare and REACH Air Medical Services, Brendon has hundreds of people rooting for him as he takes on the fight of his life.